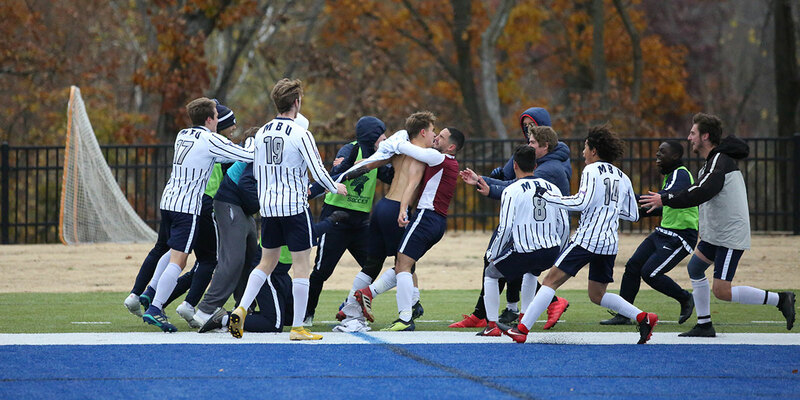 On a snowy Friday afternoon, the MBU men’s soccer team took the field to face off against Lyon College on MBU’s home turf; they left with an American Midwest Conference title and first-ever bid to the National Tournament. Winning the conference tournament is just one of this season’s many accomplishments that made Spartan soccer history. These accomplishments include first conference tournament championship, first NAIA National Tournament bid, most clean sheets in a single season (sophomore Davide Bucarelli, a goalie who is double majoring in business and accounting) and going undefeated at home. After what Graduate Assistant James Routledge described as a “tight beginning” to the game, with both teams hesitant to blink first, Lyon College took the lead, scoring in the final 10 minutes of the first half. Defender Tommy Struckman, sophomore, tied the game 1-1 early in the second half, and the Spartans looked to finish, but the remainder of the half went scoreless. The Spartans’ productive season topped off when the team claimed the Conference Championship after an overtime goal made by freshman Jona Oesterling, a business major. Before making the game-winning goal, Oesterling said his thoughts went silent. He saw the goalie was in the far right corner of the net, so he shot to the left. Routledge, in his first semester as a graduate assistant for the team, recognized the magnitude of the moment. After making their mark on the program’s history throughout the 2018 season, the Spartans look to continue their achievements at the NAIA Men’s Soccer National Tournament, which begins Saturday, Nov. 17. According to Routledge, the Spartans’ endless effort has paid off and will continue to do so in the postseason. The Spartans are the No. 26 seed in the field of 30 and are set to play the No. 5 seed, the Missouri Valley Vikings, on Saturday, Nov. 17 in Marshall, Missouri. Jacob Alvernia, in his sixth season as head coach and taking his team to Nationals for the first time in his career, credited the team for its hard work. 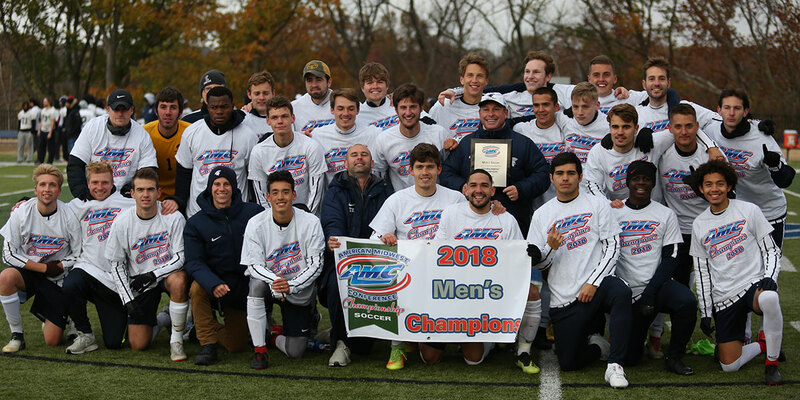 Men’s soccer heads to Nationals after completing a season of firsts — first conference tournament championship, first NAIA National Tournament bid, most shutouts in a single season and an undefeated home season — with a 2-1 win against the Lyon College Scots.